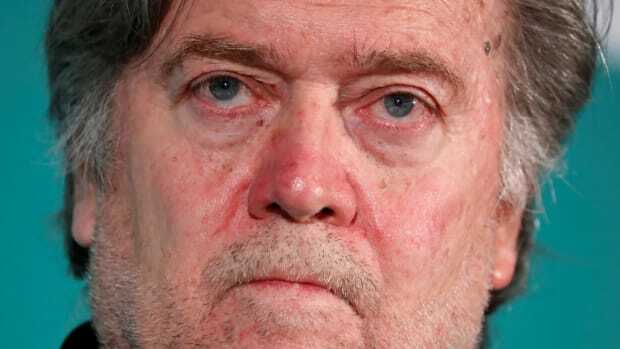 "By creating the unholy alliance between Trump's GOP and a subculture in American society that would be marching Jews to the gas chambers given half the chance, Bannon is the 21st century Joseph Goebbels. And to be clear, I am comparing him to a Nazi." 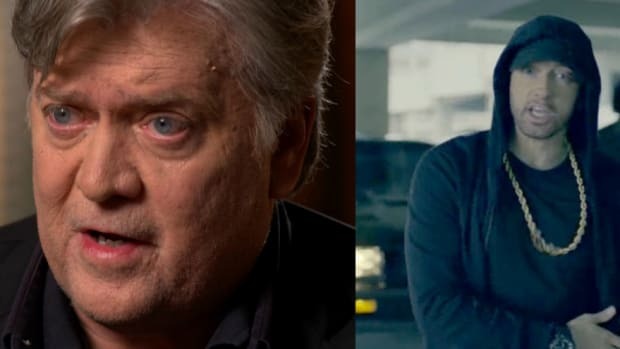 Steve Bannon: Racist or not? 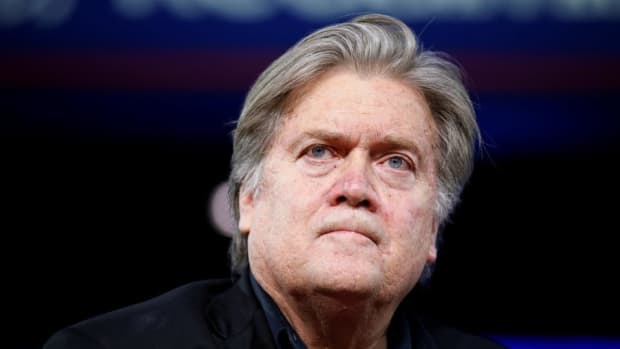 Donald Trump&apos;s chief strategist Steve Bannon&apos;s views on race have been scrutinized heavily over the past few weeks, largely due to anecdotal evidence of his alleged anti-semitism and views about black voters. 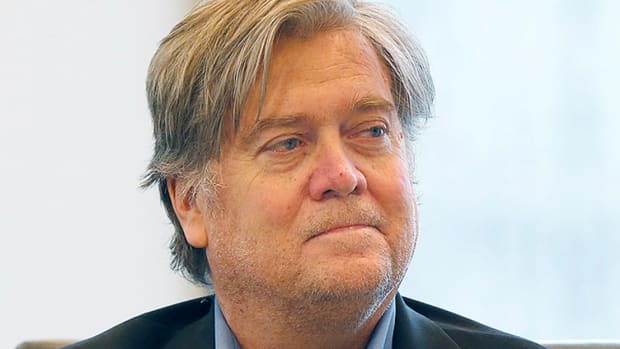 Despite there being no hard evidence of Bannon&apos;s views on race, I&apos;m inclined to believe the rumors for a number of reasons. "What if the people getting shot by the cops did things to deserve it? There are, after all, in this world, some people who are naturally aggressive and violent." 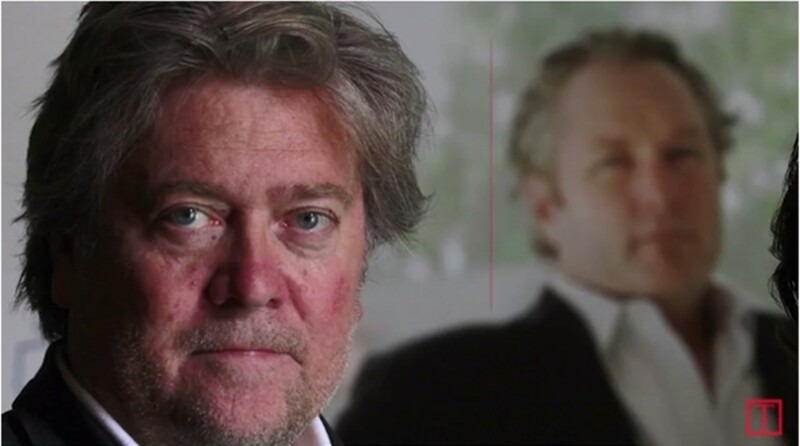 Secondly, if you look at the website Bannon helped found and run, Breitbart.com, the readership is extremely indicative of the type of politics he advocates. 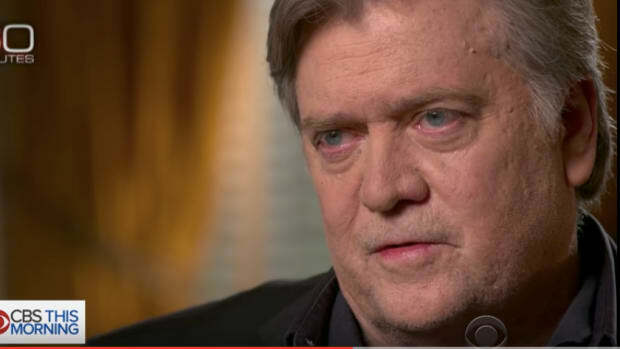 Bannon has admitted his site is a breeding ground for "Alt Right" (white nationalist) views. "There some people that are white nationalists that are attracted to some of the philosophies of the alt-right? 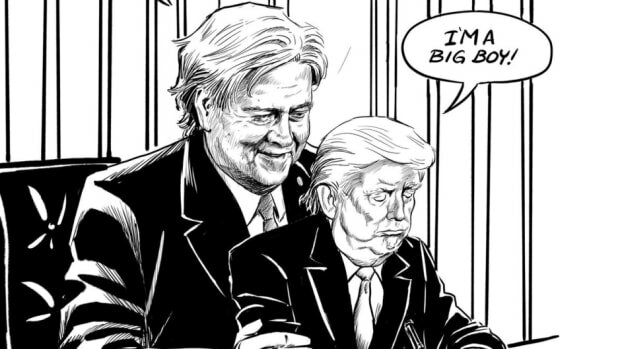 Maybe," said Bannon to Mother Jones. "Are there some people that are anti-Semitic that are attracted? Maybe. Right? Maybe some people are attracted to the alt-right that are homophobes, right? But that&apos;s just like, there are certain elements of the progressive left and the hard left that attract certain elements." In the age of Trump, attracting virulent racists and anti semites isn&apos;t all that bad, as long as there are other fans who don&apos;t believe blacks are inherently more aggressive than whites and Jews are controlling the media in order to destroy Christianity etc etc. Furthermore, they can be compared to the progressive left -- a political movement dedicated to reducing wealth inequality, providing health care for all Americans and caring for the environment. OrphanedRepublican: This nonsense with the whole "hate crime" things has to stop. The evil of murder stands on its own. If the guy hates Jews, Hispanics, blacks, and modern America, so be it. I don&apos;t care. It&apos;s not a crime to hate anyone. It&apos;s a crime to kill anyone though and that&apos;s what we focus on, not whether he hates anyone. Murder is crime enough to punish. His misanthropic views are irrelevant. White Male: The problem was not what he wrote in his manifesto, but what he did. By the numbers, there is no question that [B]lacks are the most violent race in America and that Jews are overrepresented in the media. Noticing these facts should not be condemned. Killing people at random for whatever reason is what should be condemned and punished harshly. I have no doubt that it will be. I think he wants the death penalty at this point anyway. Marcus Garvey 1 I agree. Dylan was a hero for his beliefs! RobL_v2 What no ACLU lawyer for him? Oh that&apos;s right... the ACLU only defends minority racist murdering terrorists..
HorusMaximus Why aren&apos;t they showing pictures of this thug when he was 11 years old and wearing a bow tie for church like they do with all the black thugs? Ed Edgerton The Charleston church shooting event was almost certainly a hoax. Look at the videos of the next of kin after the event. This is not the way real grieving people act. Consider how quickly they reopened the church after the event. It is true that there was an open-casket funeral for the minister who was supposedly shot, but if you think about it you will realize that this could have easily been faked too. Ralphie C Bring back the whip. drperry &apos;Yep&apos;, the same old story, see the headline and wonder, rhetorically, if they happen to be black youth. 0bama-youth? stevemusicmaker12_4 Yeah, tell Travon to skittle...Uummmm, ----Skattle?No, ----Skedaddle! -------Oh, gotta run. Tea taa! There are 596 comments on this particular piece as of writing this, and the vast, vast majority of them are sickeningly racist. As the owner of The Daily Banter, I would not tolerate this for a single second. Every single comment would have been deleted, and all racist commenters would have been banned for good. And if these commenters kept showing up to my website, I&apos;d have a long, hard think about why they were coming in the first place. Steve Bannon has most certainly thought about why vile racists flock to his site, and hasn&apos;t done anything about it whatsoever. To the contrary, he has actively used these readers to help put Donald Trump in office. 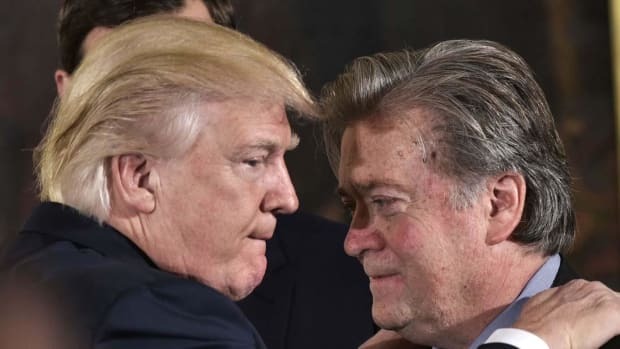 By creating the unholy alliance between Trump&apos;s GOP and a subculture in American society that would be marching Jews to the gas chambers given half the chance, Bannon is the 21st century Joseph Goebbels. And to be clear, I am comparing him to a Nazi. He uses the media to scapegoat minorities, whip up racial tension, and promote white nationalism. 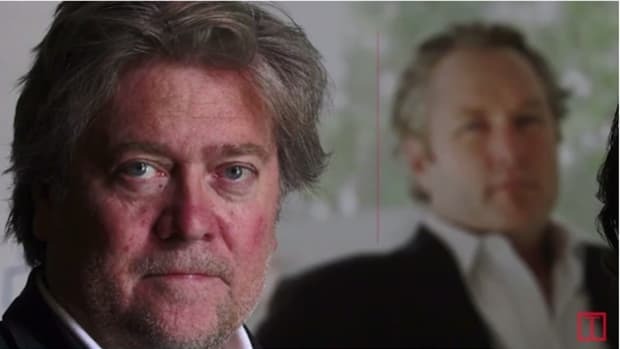 So is Steve Bannon really a racist? Yes. He most certainly is. Please help support The Daily Banter in our efforts to remain independent. Your help is now more needed than ever. Go here to find out about purchasing a membership. Thank you!